When I was a kid and pictured myself as a grown up, I pictured myself wearing the clothes I saw on my television set. 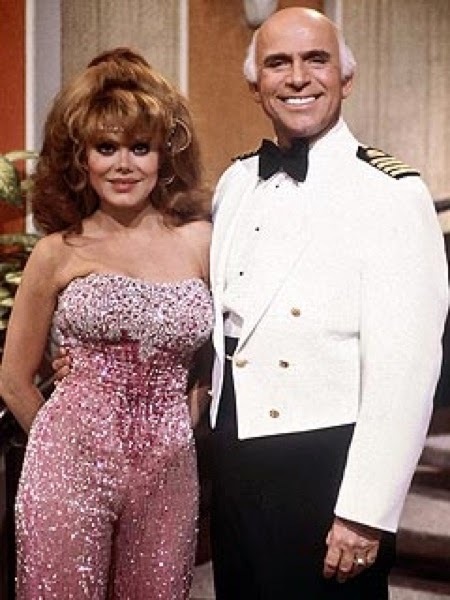 I pictured myself in glamorous jumpsuits like Charo on The Love Boat and Farrah going undercover as a diva and wearing a Halston jumpsuit on Charlie's Angels. Those are my fashion icons. I was also influenced and inspired by the 1980s, hello Madonna and all the ladies on Designing Women. Yeah, I want shoulder pads to come back. I feel like big shoulders would balance out my expanding hips and it's a cheaper option that breast implants. But I digress, the shoulder pads and the eighties are a whole other post. 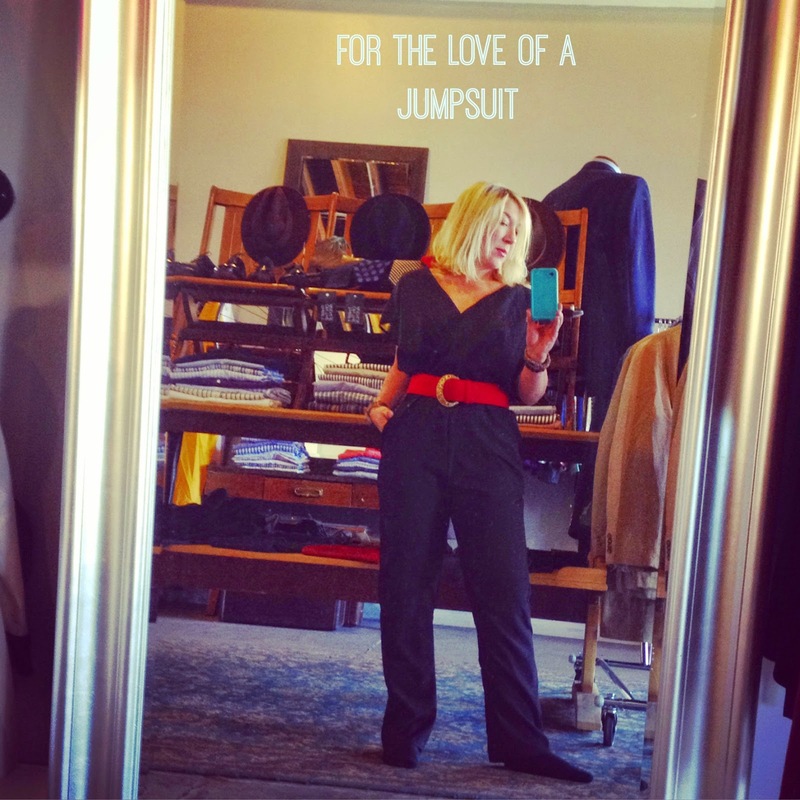 For this post, I am linking up with the Pleated Poppy for What I Wore Wednesday and talking about my love of jumpsuits. Lindsey over at the Pleated Poppy started What I Wore Wednesday (WIWW) as a motivation to get out of her daily uniform of "jammies or sweats." 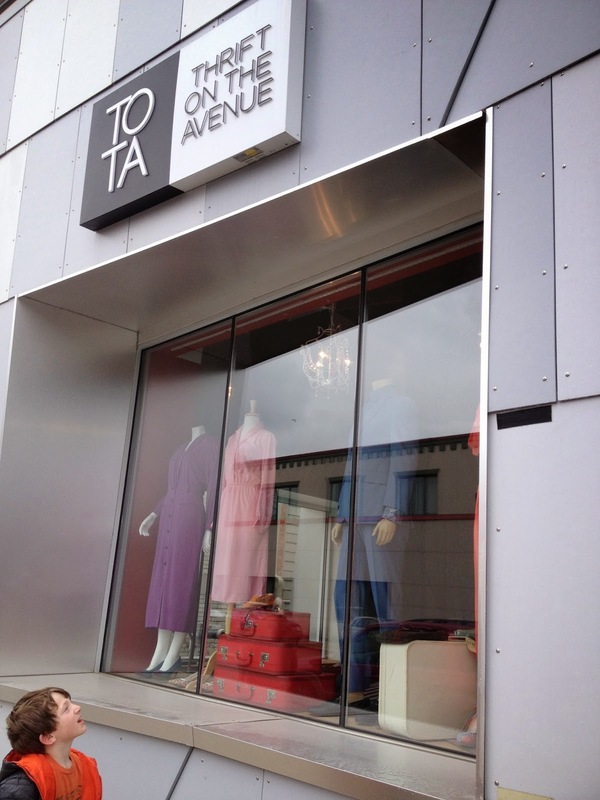 But has grown to be a source of fashion inspiration. Go check out everyone who links up and get inspired. The other day I became obsessed with the idea of getting a jumpsuit. I stopped into a thrift store in Detroit called Thrift On The Ave and found THE jumpsuit. I mean really, I clapped when I saw it. I tried it on and it fit. You guys, nothing fits me ever. I'm only 5'1" and pants are always too long. Or if the pants are miraculously the right length then I can't button them because of my hips and stomach. And don't get me started on my thighs. BUT this jumpsuit was THE jumpsuit because it fit everywhere! I don't know exactly if I am a believer of all the "put it out in the universe and it will come to you" kind of thinking, but THE jumpsuit and this store might just make me a believer. When I tried the jumpsuit on to show off my fashion dream come true to my family, Lucy said "it looks like pajamas." Maybe, but they are pajamas that make me feel glamorous and like the grown up version of me I dreamed of when I was a little girl. That's the beauty of a jumpsuit...comfortable and high fashion. This first look is my second favorite. I paired my awesome new jumpsuit with a pink blazer (I am not saying jacket because blazer sounds more retro) I got at H&M a few years ago. I thought I would look smarter with fake glasses. 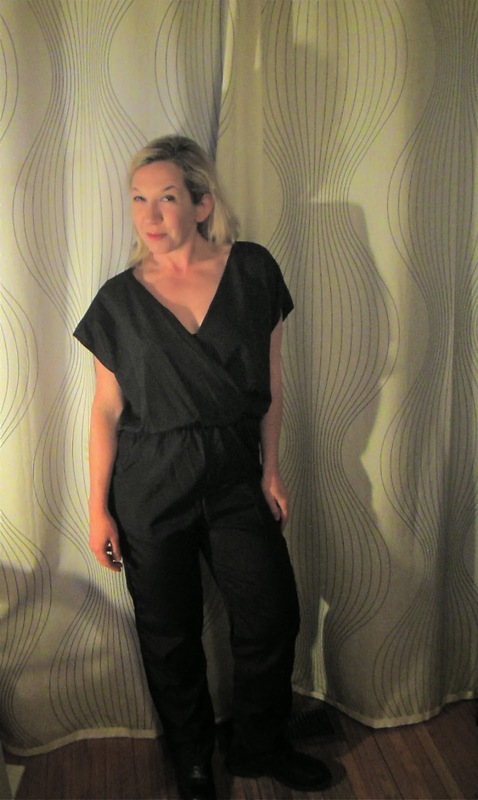 And I LOVE that THE jumpsuit has pockets. I'm not really a fan of my face here, but I was going for a more sophisticated look, which really isn't my thing. BUT the red belt? It's like a completely new look for THE jumpsuit. I bought the belt at the thrift store too. at a boutique in Detroit called Flo's. This is my favorite way to wear THE jumpsuit. Just plain and in all it's glory. 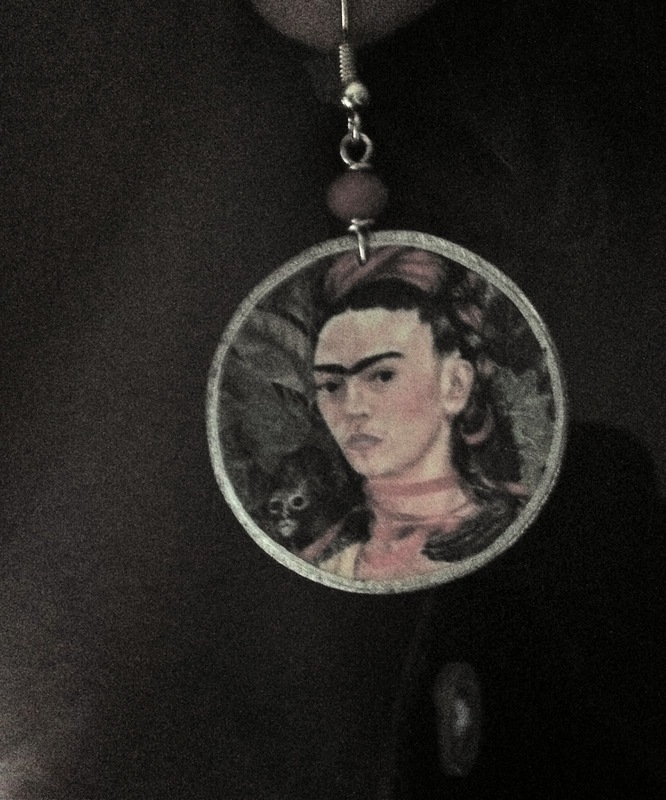 In this picture I'm wearing it with my chunky black flat boots and I feel fierce and fabulous. Next time I wear this, I might bust out my feathered Farrah hairstyle (that I love to wear) and frosted lipstick (that I always carry in my purse). What are your fashion inspirations? Did you have a version of the adult you and what you'd be wearing? What are YOU wearing this Wednesday? I LOVE, LOVE, LOVE your jumpsuit Angela!! Way to bring it back! You look fantastic! I have seen jumpsuits at the mall AND Target this week and am dying to try some on! You look adorable! Girl, you are ROCKIN' that jumpsuit! I love it with the blazer, SO stylish! Congrats on the find, that is awesome!